Okay, that's not actually live. I took it a few days ago. 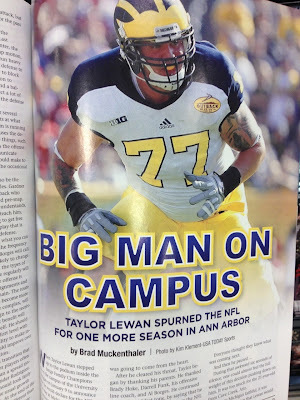 A couple months ago, the good folks at Lindy's asked me to scribe a piece for their 2013 Michigan preview mag. 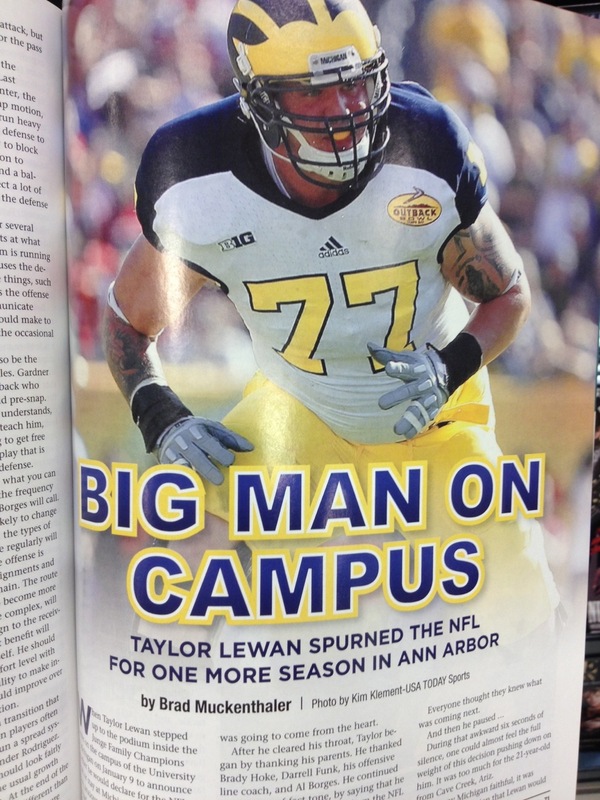 I was thrilled when I found out that the topic they wanted to me to cover was Taylor Lewan and his decision to return for his senior year. Not only because I think Taylor is a great player, but I myself am a former offensive lineman (high school, of course), and I have a soft spot for the importance of those hogmales up front. Even more exciting, the piece ended up being the cover story! I am flattered to be among some other great writers in this issue, including but not limited to @Maizeandgoblue, @MVictors, @tbeindit and @MaizeBlueNews. If you're a preview mag buff like me, but don't pay much attention to the single-school preview issues, I suggest you give Lindy's a look. 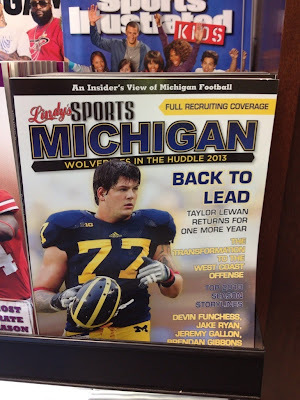 There's a ton of great Team 134 content in there and some pretty nice photos as well. You can pick up a copy pretty much any major newsstand in the state of Michigan. Outside of the state, you're best bet is Barnes and Noble. Can't find it in a store near you? Click here and order online.